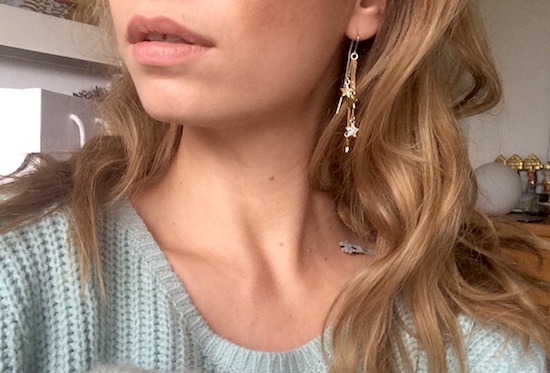 I spotted these Rachel Roy star earrings on ASOS.com and had to have them – they are, I think, perfect for just about every occasion. They look cool and effortless when you’re dressed down, but quite glam with the right outfit. They’re a bit rock chick, or they’re a bit “spangly” and posh, depending on what you’re wearing. I’ve had lots of compliments on them, compliments I reply to with “THEY WERE THIRTY TWO QUID! ASOS!” (Does anyone else have this bad habit? Having to shout out the price of things when they feel they’ve had a bargain?) Anyway, they’re not thirty two quid anymore, they’re twenty-four. You can find them here. *Pictures taken on my iPhone – sorry for the distorted features. I am at Mother’s with no proper camera!